DELAWARE – Oh, what a difference a year makes. The Ohio Wesleyan women’s basketball team matched its win total from last season in its season-opener and surpassed it in its next game. Saturday afternoon was the Battling Bishops’ next hurdle – a North Coast Athletic Conference win after going 0-for a year ago. Sophomore Tia Karras knocked down a pair of three-pointers in the second quarter to highlight a 12-1 run that gave OWU the lead for good in a 69-63 win over Allegheny at Branch Rickey Arena. Karras knocked down four from behind the arc to finish with 20 points and seven rebounds. The Bishops started just 3-for-23 from the floor before Molly Delaney knocked down a short jumper in the lane to cut the deficit to 19-18 with 6:10 remaining in the first half. Then, Lisa Zeller found Karras for her first three to give OWU the lead. Zeller pulled down a Zoe Soilis miss on the defensive end before finding Karras for three again. Zeller finished with 11 points, three assists and three steals. 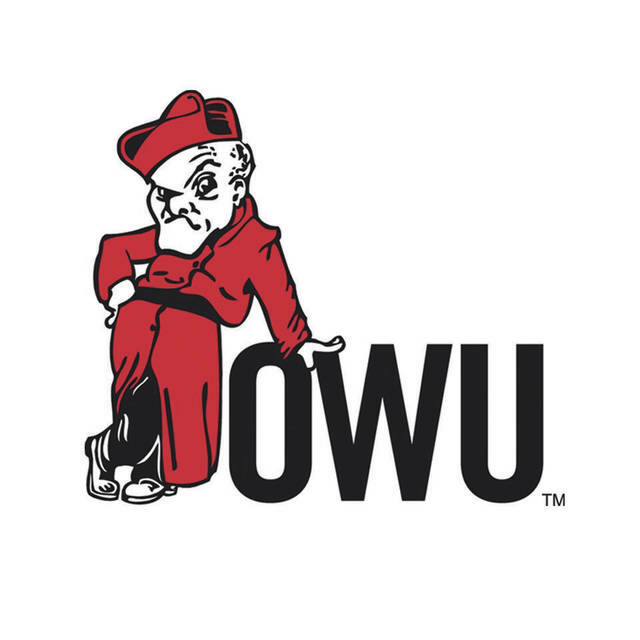 OWU had stayed close early with solid free throw shooting – going 10-for-10 at the stripe in the first quarter and 26-for-31 for the game. “Free throws were the difference in the game,” Ungashick Lobdell said. The Bishops (4-2, 1-0) also forced turnovers in bunches – 26 for the game and 10 in the first quarter alone – by playing a full-court press most of the way. OWU pushed its lead as high as 14 midway through the fourth quarter. The Gators went 0-for-2 from the floor with five turnovers as the Bishops went on an 8-2 rally to put it away. Freshman Devin Hefner led the way with five of the team’s 15 steals. She was held scoreless in the first half before pouring in 15 in the second half. “She’s always looking to score and every time she shoots – I have confidence that it’s going in,” Karras said. Delaney Arbore had a game-high 23 points to go with six rebounds, Julianna Skowron added 14 points and 11 boards and Rylee Donovan chipped in 13 points and four assists to lead the Gators (3-4, 0-1). OWU is off until Saturday when it travels to Hiram to continue conference play. Tip-off is scheduled for 1 p.m.